During a past deployment of Royal Saudi Air Force aircraft in UK, it was possible to capture pics and videos of a camouflage Tornado at Mach Loop valley. 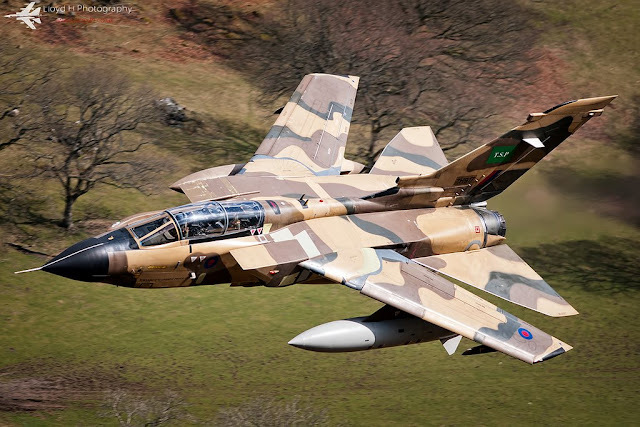 The RSAF has a fleet of 80 Tornado fighter jets with the role of ground attack. The aircraft is also in the fleets of Aeronautica Militare Italiana (Italian Air Force), Luftwaffe (German Air Force) and Royal Air Force.